VCI papers are specially matured Natural Kraft Papers impregnated with VCI’s (Volatile / Vapor Phase Corrosion Inhibitors). This provides an extremely effective method of dry corrosion protectionof ferrous metals, and most non-ferrous metals in hard to reach metal surfaces. 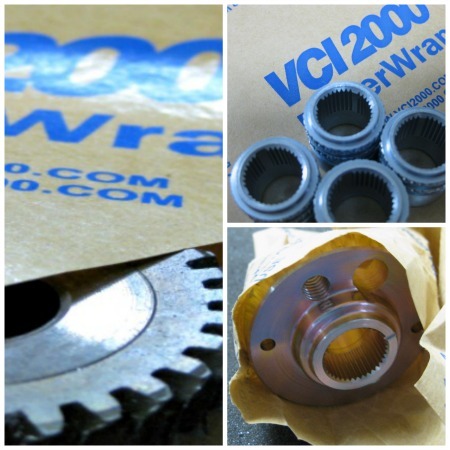 VCI Paper is a high-quality kraft paper that is saturated with 100% Nitrite free powerful vapor corrosion inhibitors. Our VCI papers also come in a variety of grades and shaped products should be protected with heavier grades of paper, while smaller parts can use lighter basis weights. 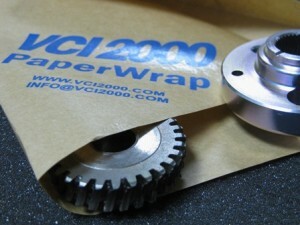 VCI2000 VCI Papers are also available with barrier packaging. Barrier coated papers and films protect against moisture and grease laminated grades afford heavy duty protection against the environment and serve as a rust preventative. Multi metal corrosion protection ferrous, non-ferrous up to 24 months. Does not affect electrical or mechanical surface properties. Steel Mills, Automotive, Engineering, Electrical-Electronics, Defense etc. 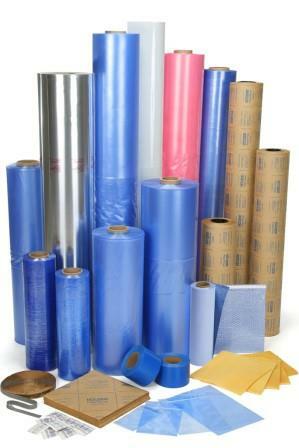 Available with different backings of papers such as plain, extensible, PE-coated, OPP/PET- laminated, woven, reinforced etc. The selection of grade depends on the weight & shape of the product, package condition & the duration of protection required.